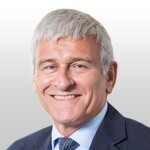 Roger was a highly respected senior manager within the Metropolitan Police Service for over thirty years before he retired in May 2012. He has a unique background in operational command having been pivotal in all major events in London for the past 14 years. He is accustomed to working at executive and tactical levels, with outstanding communication skills and the ability to motivate others, he is well practiced in managing complex threats to people, property and reputation; achieving business continuity and managing specialist teams with national and international responsibilities, and multi-million pound budgets. Roger led the Casualty Bureau team in New York after the 9/11 terrorist attack, negotiating the two-way flow of information on UK casualties enabling the UK Government to support bereaved families. In July 2005, he managed the police response to the London bombings of ‘7/7’, where he used his in-depth knowledge to excellent effect. More recently he initiated the initial response to and later reviewed the London Riots of August 2011 to identify learning.